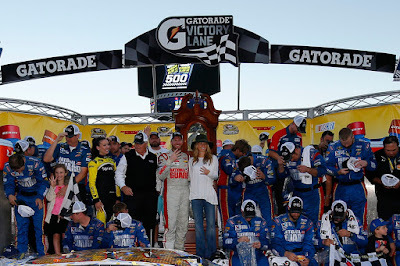 When Dale Earnhardt Jr. made his final Monster Energy NASCAR Cup Series start at Martinsville Speedway today, a familiar face led him and the rest of the field to the green flag. Earnhardt’s wife, Amy, served as the Honorary Pace Car Driver for the First Data 500. 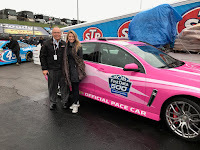 While driving the pace car will be a first for Amy, she is no stranger to Martinsville, as she was by Dale’s side in Victory Lane when he picked up his only career win at the historic Speedway three years ago. 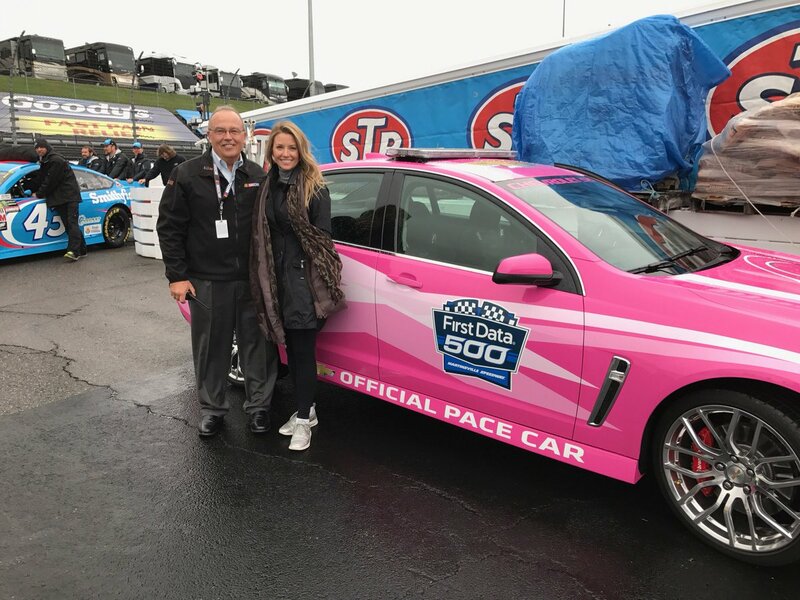 Martinsville Speedway President Clay Campbell said having Amy drive the pace car is a way to give back to Dale for all he has done to not only elevate the profile of Martinsville Speedway, but NASCAR as a whole.